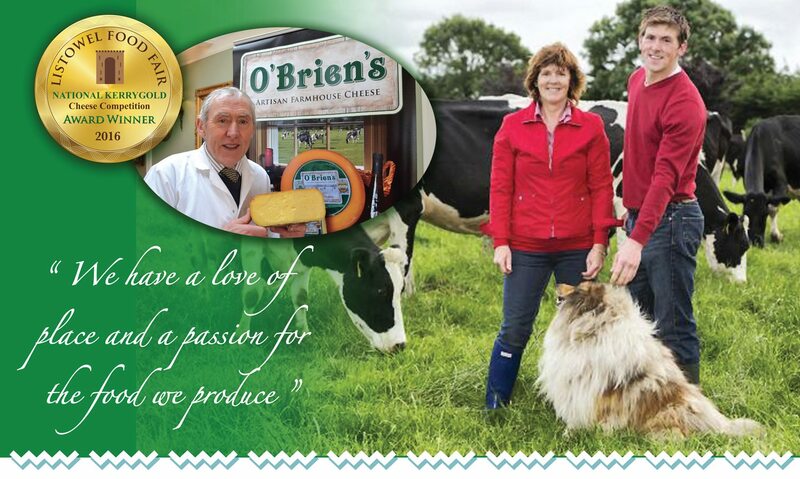 The O’Briens have lived and farmed on Hazel Cottage Farm for eight generations. They are passionate about family, land and animals and have always harboured a love of food, both the production and the sharing with family and friends around the kitchen table. On arrival to Hazel Cottage, you will receive a Céad Míle Fáilte from a member of the family and throughout your stay, the O’Briens will always be on hand to help and advise. By appointment, you can view the dairy farm and cattle and the production of their unique cheeses from the milk produced by their own dairy herd.